The average price for this game in the past 6 months is $14.82. The game first became 50% off on Mar 25, 2019 at Green Man Gaming. Lowest historic price was $12.80 on Apr 19, 2019 at Green Man Gaming. Crazy price reduction on For Honor Marching Fire expansion which was just recently released. The Uplay key is cut down to a new historic low of 49% off to only $15.29. If you've picked up a free copy of For Honor Starter Edition recently, this is a great addition to the title for more characters and gameplay. For Honor Season Pass listing on our site has been updated to the "Year 3" Pass as it is the most relevant Season Pass for latest For Honor PC content. The average price for this game in the past 6 months is $16.46. The game first became 50% off on Dec 21, 2017 at Green Man Gaming. Lowest historic price was $11.50 on Mar 25, 2019 at Green Man Gaming. The average price for this game in the past 6 months is $15.82. The game first became 50% off on Aug 10, 2017 at Steam Store. Lowest historic price was $11.22 on Oct 25, 2018 at Green Man Gaming. For Honor hits lowest ever price of only $11 and change at GMG's Halloween sale. While the Starter Edition was offered up for free recently, if you enjoy the title and want access to more characters - this is the easiest way to go. Uplay key. New historic low price on For Honor Uplay key for the PC. This is the best price yet we've seen on the game, and it's a better bet than buying the pricier Starter Edition (which requires grind to unlock characters). While For Honor isn't without issue, at $15 it's not a bad title to check out. Big price drop on For Honor this weekend during GMG's March Madness sale where essentially the entire Ubisoft catalog is on tap for up to 70% off. Deluxe is $20, Gold is $29. Uplay key. While a $60 purchase in Steam, now through Sept. 24 GamersGate has dropped For Honor down to $26.40. New low by $3.59 on PC. Uplay key. Deluxe and Gold also available at up to 56% off. It's a free weekend on For Honor at Steam. Play now through the weekend for $0.00 and if you like it enough keep it for $29.99 - which is half price and its lowest to date. The average price for this game in the past 6 months is $29.04. The game first became 50% off on Dec 18, 2018 at Green Man Gaming. Lowest historic price was $22.08 on Mar 25, 2019 at Green Man Gaming. The average price for this game in the past 6 months is $6.94. The game first became 50% off on Jul 18, 2018 at Green Man Gaming. Lowest historic price was $5.52 on Mar 25, 2019 at Green Man Gaming. Steam copy of For Honor Starter Edition is free for a limited time! This is the same offer Ubisoft had back in June, though that was for a Uplay copy. While you'll still need to install Uplay no matter what - with this you can at least have it all in your Steam library for ease of access. Worth grabbing for the story campaign. Yours to keep if you get before August 27 next week. Always wanted to try For Honor? The Starter Edition is FREE during a limited time promotion from Ubisoft. 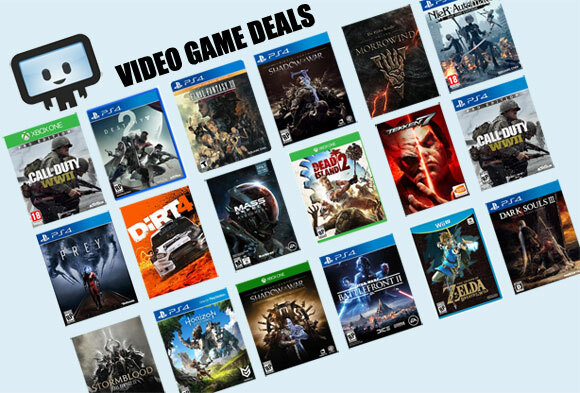 Pick it up before the deal ends and the game is yours to keep forever. Includes six heroes and additional ones can be unlocked through gameplay (aka grind). Worth picking up just to try out the story campaign, in our opinion. Act fast as this deal ends Sunday. The average price for this game in the past 6 months is $10.06. The game first became 50% off on Jul 11, 2017 at Microsoft. Lowest historic price was $6.99 on Dec 19, 2018 at GameFly. Another NewEgg coupon console gaming gem spotted today For Honor only $39.99 after coupon with free shipping. Second lowest price ever for the popular February 2017 release.